You have many ways to control your electrical devices trough eKameno. Using protocol X10 is one of them. This protocol uses a transmission mode over your home power line. To implement the X10 solution you should need one Arduino Leonardo and one X10 Transmitter/Receiver kit. We have used one Marmitek X10 kit. Note: Firstly, you should have eKameno system installed in your devices in order to use the X10 plugin, if it is the case check this page. 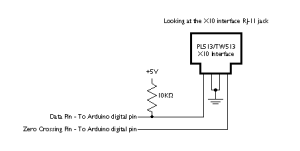 Note: you should implement this circuit between the Arduino and the X10 Transmitter as you can see in the Arduino technical documentation. Connect the eKameno Node device to the Arduino device with USB. 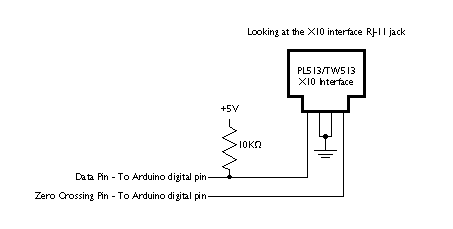 Connect the Arduino to the X10 Transmitter trough the circuit that you have seen in the Figure 1. Then connect the X10 Transmitter to one of your home plugs. After this you can connect the X10 receptor in another plug and control any electrical devices attached to the plug device. 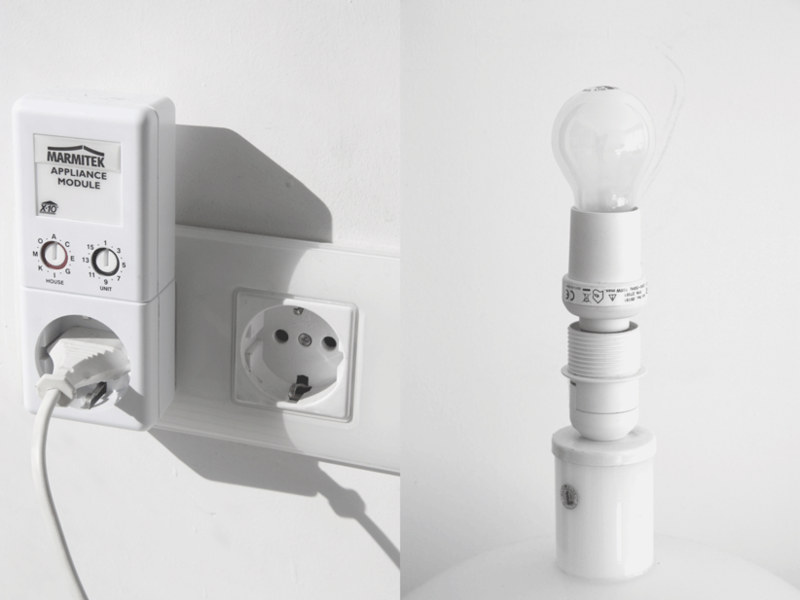 In addition, you can use the thread type X10 Receiver on the bulbs that you want to switch on and switch off. Install this software in your Arduino device and insatall the plugin eKameno X10 plugin in your eKameno Node device and you will be able to control your light and any electrical devices attached to the X10 receivers. Don’t worry if all this stuff is so complicated for you! We are working in another system that will be much more easier than X10 system. This new system will use Internet of things and will control devices like Wifiplug and LuzWifi. So with this new system you can control any electrical device and light trough eKameno just connecting the appropriated device. It will be available in a few days!